Biography:Christian Outreach Ministries had a difficult beginning, starting in 1996 but having their building destroyed in 1997. The vision of the ministry is to reach the unreached with the Gospel and support the needy and the orphans. Joseph and Peninah have been persistent in growing the church into the effective ministry it is today. The focus of Christian Outreach Ministries is leadership training. Praise and worship is valued, and they have a worship team of eighteen members. The children's ministry feeds all the children on Saturdays and has a day care center for one and two year-olds during the week to enable parents to go into town to seek employment. The nursery is growing out of room with over 60 infants. Youth have their services on Sunday morning. As an outreach, Joseph preaches in remote areas while church members distribute food and clothing. Strengths: Joseph and Peninah are gifted pastors and Bible teachers. 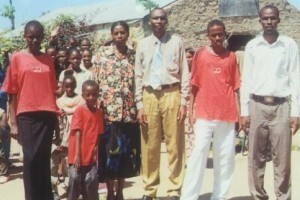 Joseph and Peninah also have three adult children, John, Jimmy and Joyce.